You CAN do this! I am proud of all you have accomplished this year and know that you will get back on track and thrive. I always think you are a hottie-boom-bottie, but I want you to think so too. And remember, we can do this together. Love you! and secondly, i need to get my eating habits under control too and get back in shape. we both can do this! Focus on today, not yesterday man. If you must think of the past, remember that you’ve done this before and you can do it again. I appreciate your willingness to talk about the struggles we all face in our effort to stay engaged in the process of diabetes care. Always more to do than time, and all of it important. I am presently in Wellcoaches training for my work, and a book was recommended, that has helped a great deal. 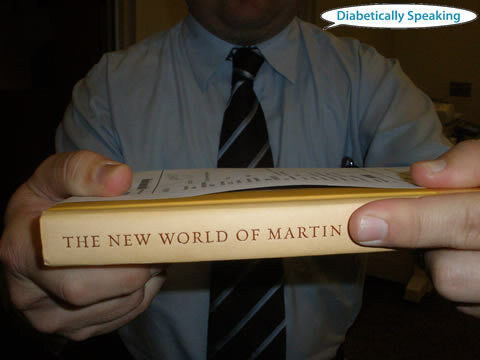 A paradigm shift for me that provides very helpful insight for my own journey with diabetes. dude, yes. i related so much to your first 2 paragraphs (well, minus diabetes, heh). but i was down 20 lbs in 6 months and feeling great. but in the past 2 months i’ve gained 4 back, ugh. i appreciate your transparency here and i hope it helps you stay back on track. rock and roll.